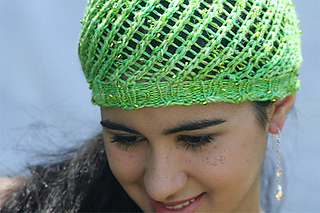 What could be more flattering than a close-fitting lacy skullcap studded with sequins or sparkling glass beads? Knit in the round from the top down, it’s a quick-to-make accessory you’ll wear with every outfit. 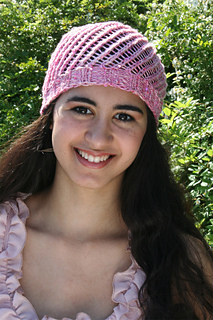 Written for circular needles using the Magic Loop technique (Magic Loop instructions included), the easy pattern features instructions for two sizes and two Tilli Tomas embellished yarns. But, generic yarn information is also included enabling you to substitute the worsted weight of your choice.